The submarine D6 (Lieutenant Robert Thomas Norman Filkin Royal Naval Reserve age 23) is sunk by the German submarine U-73 off the west coast of Ireland. There are no survivors from the crew of twenty-five. 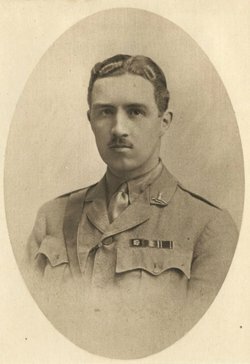 Brigadier General Alfred Forbes Lumsden DSO (General Officer Commanding 46th Brigade, 15th Division) is killed in action by shell fire in Battery valley (southwest of Feuchy, near Arras) while accompanying General Reed (General Officer Commanding 15th Division) on a tour of the trenches. General Lumsden dies at age 41. Lieutenant Colonel Arthur Bertram Lawson DSO (Hussars commanding 2nd/5th Gloucestershire Regiment) is killed. He is the son of the late Baronet ‘Sir’ and Lady Lawson. Captain Alfred James Barrow MC (Lancashire Fusiliers) dies of wounds to the thigh as a prisoner of war at age 34. He is the son Alderman Alfred Barrow the Mayor of Barrow-in-Furness. Second Lieutenant Thomas Henry Mawby (London Regiment) is killed in action at age 28. His brother was killed in October 1915. Private Sylvester Valerio (Duke of Wellington’s Regiment) is killed in action at age 35. His brother died in September 1917. Private Norman Henry Werner (Australian Infantry) is killed in action at age 19. His brother was killed in September 1917. Private Geoffrey Bury Dewhirst (Australian Infantry) is killed at age 21. His brother was killed last March.